Our Lounge also features a big screen high definition television. 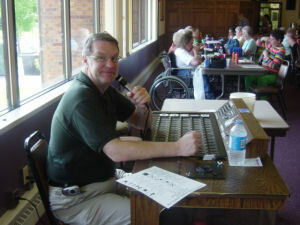 Bingo is played every Sunday starting at noon; Tuesday and Thursday at 6:30pm. The last game Sunday is a progressive game which starts out at $500. The last game Tuesday and Thursday is a progressive game which starts out at $300. Have a special occasion such as a wedding or a meeting and need a great place to hold a function? 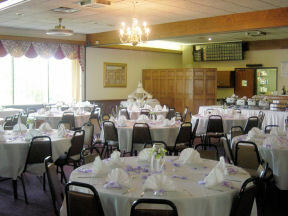 Our hall is a fine facility with a wet bar and can seat up to 350 people for dinner. The function will be catered, which the Lodge does have a list, but if you would like to use someone else, the Lodge is more than willing to help out. Please call the Lodge at 414-353-2900 for information. We have an eight-lane bowling alley with a full service bar. There are bumpers for bumper bowling. 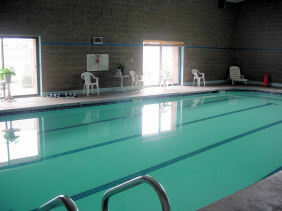 We also have a heated indoor swimming pool that is open 7 days a week with the same Hours as the Health Spa. 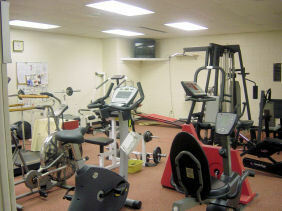 We have a complete Health Spa with work out equipment, sauna, steam room, and whirlpool. The Health Spa is open 7 days a week. Monday thru Friday. : 8 a.m. to 9 p.m.
Elks are welcome to use our large parking lot for their RV parking when visiting the Milwaukee area. We have water and 20 amp. electrical service, but no dumpstation. However there is one nearby.